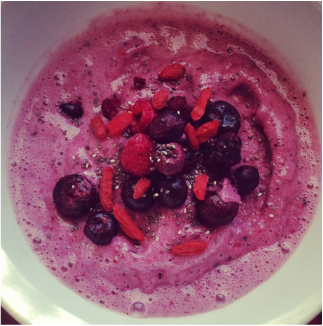 As summer weather scorches, this is the perfect breakfast to give you a cool, morning boost! And it's so simple to make too! Just blend some ingredients and BAM, it's one delicious serving of goodiness! Whizz all the ingredients in a blender until the desired consistency is reached. Enjoy! Combine all ingredients in a blender until you reach the desired smoothie consistency. If you want to make it runnier add more water. Blend all ingredients in a blender until smooth. If you want a more runnier texture, add more milk. Enjoy!